Pairing This crisp beer pairs well with a lot of food. We like drinking it with aged gouda, roasted chicken, fish & chips, lobster, sushi, and fried seafood. 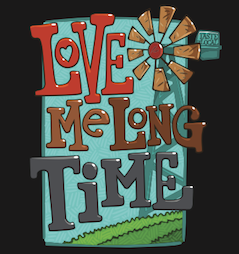 Love Me Long Time is our crisp, bright, and refreshing hoppy lager – ideal for drinking outside on a sunny day. Although this beer is brewed to reflect a traditional Bohemian-style pilsener, it is made with 100% pilsen malt from within 200 miles of our brewery. So grab a can of this clean drinking, straw-colored beauty and enjoy with your friends, family, dog, or all three! What’s with the name, you might ask? Well, we like to think of this beer as our ‘session’ beer. Given the relatively low alcohol percentage (compared to most craft beers), you can certainly have several of these beers in a sitting. You can love this beer for a long time! 100% pilsen malt by Valley Malt in Hadley, MA.